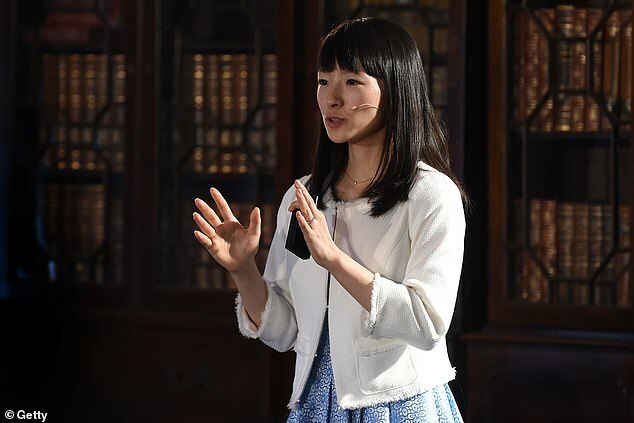 Marie Kondo has built a successful career organising and simplifying people’s homes and lives – so it comes as no surprise that her approach to beauty and skincare is similarly streamlined. The 34-year-old Japanese organiser’s California-based make-up artist, Megumi Asai, has revealed that while the star’s skin is naturally clean and clear, her love of natural skincare products has helped her to achieve a radiant complexion. Marie follows a very simple routine which sees her use a toner and moisturiser daily, and when filming her hit Netflix show Tidying Up with Marie Kondo she uses a small amount of good quality make up. Megumi says she prepares Marie’s skin for the camera by cleansing with Tatcha Pure One Step Camellia Oil, which suits all skin types and works to remove any remnants of make-up and help banish impurities. This is then followed by THREE Balancing Emulsion to moisturize the skin, as well as a spray of rose water, and a dab of Herbivore Coco Rose Lip conditioner. 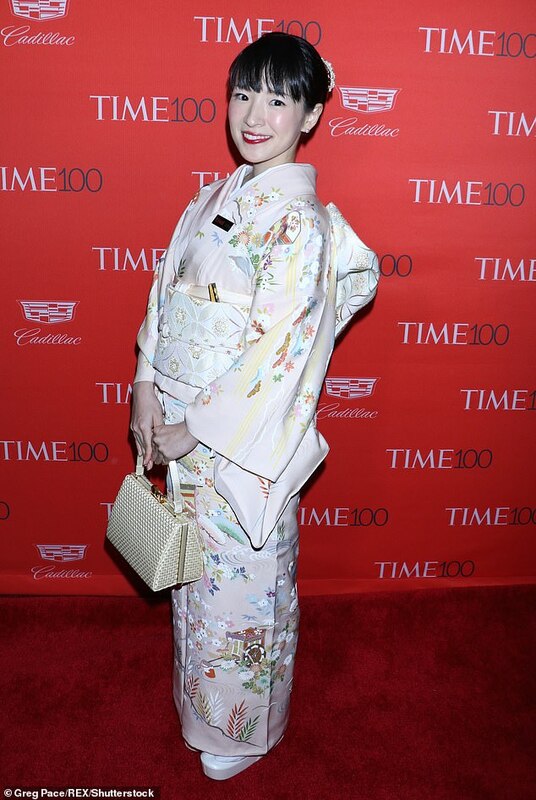 The Los Angeles based expert told The Cut: ‘In make-up, Japanese beauty emphasizes translucent-looking skin. This can only be achieved by staying away from the sun and following a daily routine of applying a toner and lotion at the end of the day. 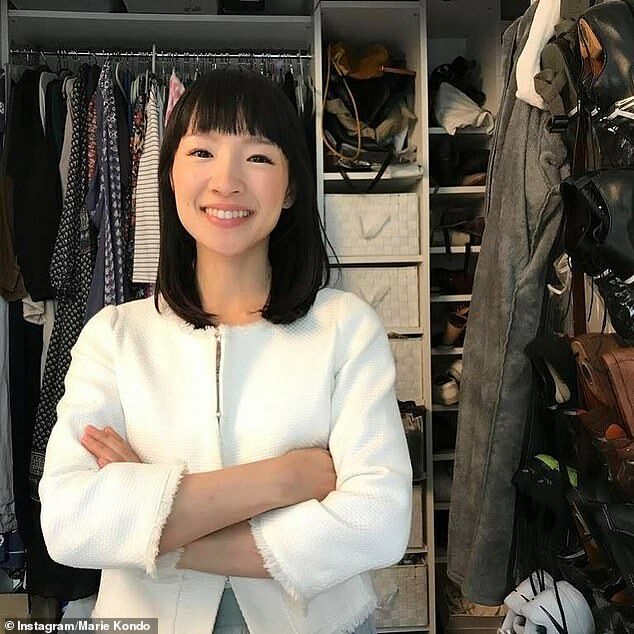 Megumi added that she believes Marie’s lifestyle has had a positive impact on her complexion – because her love for tidying means she is often inside for hours at a time, away from harmful UV rays which can age the skin. Megumi said that while Marie needs very little make up, when filming the show she uses designer beauty products such as Chanel, Clarins, Tom Ford and Laura Mercier. Step one: Marie’s make-up is removed with a natural cleanser. Step two: Make-up artist, Megumi Asai, then applies THREE’s Balancing Emulsion as a moisturiser. Step three: A rose spray is then spritzed on Marie’s face. Step four: Finally, a lip conditioner is applied, before her make-up is layered on top. She starts with Laura Mercier Foundation Primer in Radiance, before applying a sheer foundation. She then blends two of Le Blush Creme de Chanel, in shades Intonation and Affinite, onto her cheeks. Megumi added that Marie swears by false eyelashes, but to give her eyes extra emphasis Megumi will apply a dusting of a natural eyeshadow – usually taupe or champagne hues – and a sweep of MSH Love Liner liquid eyeliner in black. To finish Megumi will apply Clarins rouge Eclat lipstick in Pink Cherry. Megumi says she does not re-apply make up products when Marie films her hit Netflix show, and simply uses blotting paper on her face to ensure she looks completely natural. Marie’s healthy diet also helps achieve glowing skin, as her recipes are filled with vitamins and digestive enzymes.